These are crispy fries that goes very well with any dal rice. Wash and chop the Okra's. In a bowl , mix all the ingredients with the chopped Okra's . Heat oil in a pan, using your hands take a small portion from the batter and drop them in oil. What a great idea. Never cooked okras in this way. I bought a pack of frozen okra last week - I wonder if this works with frozen okra? It's pakoda pakoda everywhere :(...looks super delicious...just yum..
Okra fry very tempting ,luks cripy and delicious.yummy. Wow! So easy and perfect! I also make it in almost the same manner but adding yogurt is new to me. My mom makes this exactly the same way...delicious! Crispy Okras looks really good, very nice pictures. 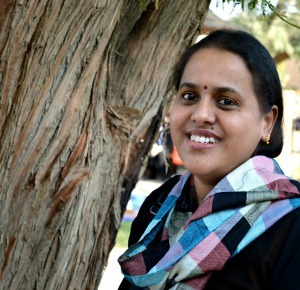 Aruna, I am seeing one pakoda or another everywhere. I guess the rains have brought this trend about. Very nice and crispy okras. 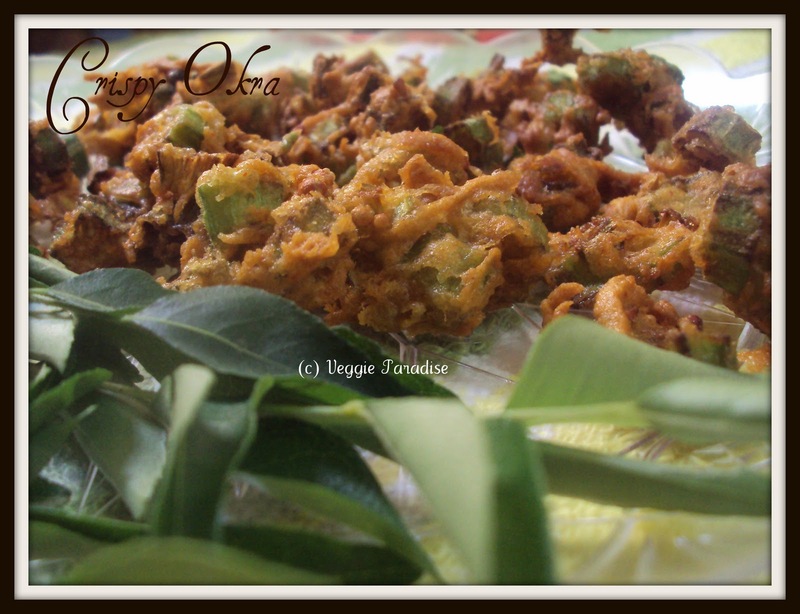 really crispy one aruna..i am grt fan of okra so like any okra dish..this one best for rice ..
Okra looks really good, I love crispy okra. 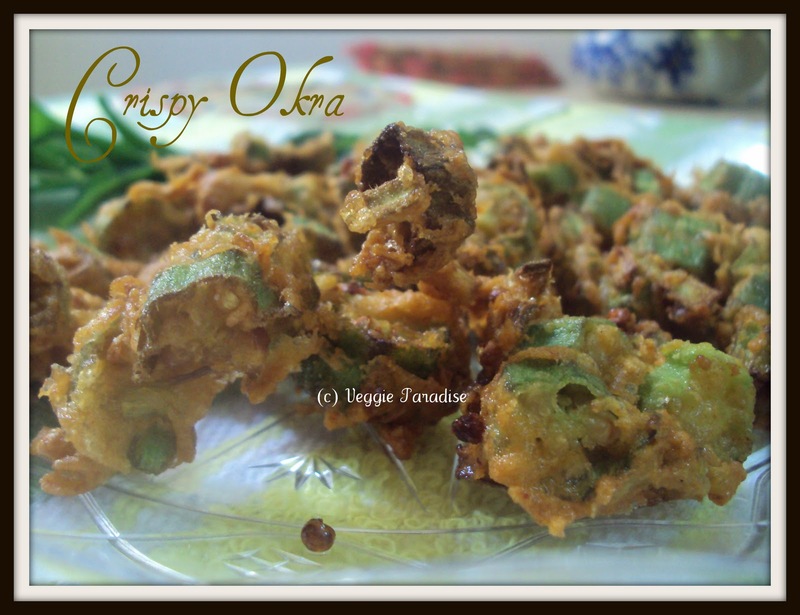 Feel like munching some rite now, very crispy okras..
Crispy okra looks very delicious. My mother makes them this way.She also adds peanuts to this dish. I never get my okras crunchy.Now i know the trick from ur post .Rice flour. 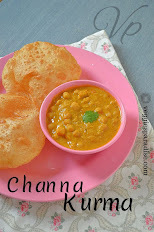 I love these with rice and sambar. love okra in any form.looks so crispy and yummy.